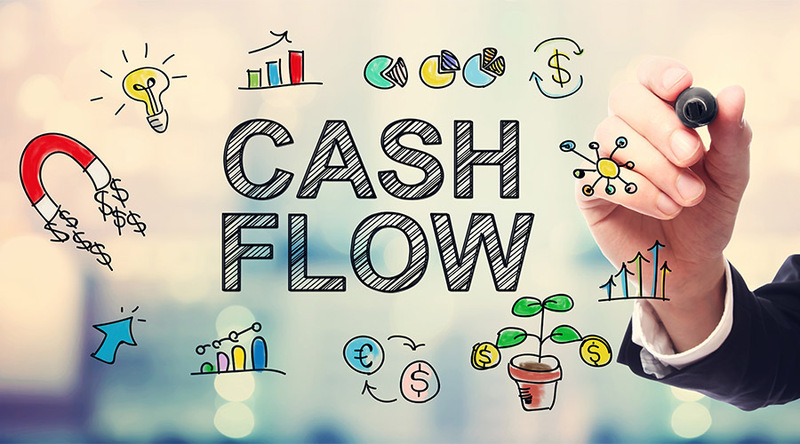 Managing cash flow is critical to the success of any business. Get it right, and shareholders, creditors, and employees are happy. Get it wrong, and the company could end up on the ropes like Carillion. Cash flow problems can beset even profitable companies, particularly those experiencing rapid growth. Cost-cutting will have a more immediate impact on your bottom line than revenue-raising efforts. You could for instance place a freeze on bonuses and overtime payments. You could also reduce the number of employees through attrition or redundancy. You could also approach creditors to ask for better payment terms. Before taking on new clients, carry out credit checks. Companies that regularly make late payments or default on payments should be red-flagged. You should also get new clients to sign contracts that include your payment terms. Encourage your clients to pay earlier than normal by offering early payment discounts. The early payment discount should only be used when the company is in urgent need of cash. Do it too often, and you will make a serious dent in your profit margins. Consider leasing rather than purchasing cars, property, office furniture, machinery, and IT and telecommunications equipment. The benefit of renting rather than buying is that you will only have to make small monthly payments. This should help your cash flow. You can also claim on the lease expense. Companies are often reluctant to raise their prices for fear they’ll lose valued customers to competitors. But even a small rise in costs can chip away at your profit margins. You can overcome customers’ resistance to a price rise by offering bundled products or services. Many companies don’t issue invoices quickly enough or chase late payments. Think of it this way: every sale has already cost the company in some way, whether that’s the purchase of raw materials, warehousing, labour, sales and marketing, and distribution. If you don’t collect what you’re owed, you’ll be worse off than if you never made the sale. Hire a company that provides invoice financing (either invoice discounting or factoring) to receive an immediate cash injection. Such companies provide funding against your unpaid invoices for a fee. Usually, you will receive up to 85% of the value of the outstanding invoice within 24 hours. You’ll then receive the remaining 15% minus the broker’s fee once your customer has paid the outstanding invoice. You could approach banks or lending institutions for a short-term loan or use other funding sources such as self-finance, partners, investors and alternative finance like peer– to–peer lending. A part-time FD from the FD Centre will look for all the things that pose a threat to the company and work with you to resolve them. Your FD will look for ways you can meet your most pressing financial requirements and review all incomings and outgoings to find where improvements and savings can be made. You’ll be encouraged to use regular cash flow forecasts. Such forecasts will alert you to possible cash shortfalls in the near future. You can then make arrangements for additional borrowing, for example. It will also make decision-making over whether to hire new staff, raise your prices, move premises, find new suppliers or tender for a large contract. Put an end to your cash flow problems now by calling the FD Centre today on 0861 127 280. To book your free one-to-one call with one of our part-time FDs, just click here.